Everybody need cash. Cash to pay bills. Cash to put gas in cars. Cash to EAT. Even though we live in a Credit Card society, cash is STILL King. That’s where we at Tempe Pawn and Gold come in. Get the cash you need from the gold you own when you get cash for gold Tempe residents own. The beautiful thing about gold is it pretty much is cash. We’ve all heard the term “it’s worth its weight in gold!” and even when we look back thousands of years into the past, it was actually used as a form of currency. Hell, the United States Federal Treasury even has vaults full of millions and millions of dollars worth of gold that’s used to back up the United States dollar. This practice has since been discontinued, but just goes to show how gold is as good as cash, and at Tempe Pawn and Gold we can make that conversion happen in a matter of minutes. If you’ve got gold, let us be your gold buyer in Tempe, Scottsdale, or Phoenix. What Types of Gold Do We Buy? Tempe Pawn and Gold doesn’t discriminate about the types of gold we buy! No matter if it’s gold jewelry, gold coins, scrap gold, gold bars, gold ingot, we will be your gold buyer! What gives gold its value is just because it’s gold! Sounds silly, I know, but if we look back thousands of years, what was used as currency? It was gold, duh! Anything made out of ogld is valuable because it’s simply gold and will always have value. We refer to these things, gold, silver and platinum, as precious metals because, they’re precious. So, now that that’s over with. Let’s talk about how we value gold. Let’s use gold jewelry as an example. Whether you’re from Tempe, Scottsdale, or Phoenix, and you bring down your gold to Tempe Pawn and Gold, one of our lovely associates will take the item and inspect it. What she is looking for is what’s known as a stamp, indicating the golds purity. These can be anywhere from 10kt to 24kt with the higher obviously meaning it has a higher purity, and being worth more money. On necklaces and earrings, it’s usually hidden underneath the clasp, and on gold rings it’s hidden inside of the ring itself. After, we’ll collect a few gold flakes from the gold jewelry(don’t worry, this doesn’t harm the jewelry whatsoever!) and do an acid test. If the acid doesn’t react to the gold flakes, that means it’s real gold and it’s real at that purity level. Next, we check the daily global gold trading prices. This is what separates our pawn shop from most — the fact that we use the actual, literal, gold price for that day, that hour, and that exact minute. We’ll make you a cash offer, and if you accept, the cash for gold process is complete! We’ll collect a few signatures from you, put cold, hard cash into your hand, and then send you on your way. While it’s true that not everyone has gold lying around on a whim, we still encourage those that do have gold come to our store. No need to let it collect dust when you can get cold hard cash instead. We love to see the types of gold that are out in the Valley and will pay the most cash for gold Tempe residents know of. 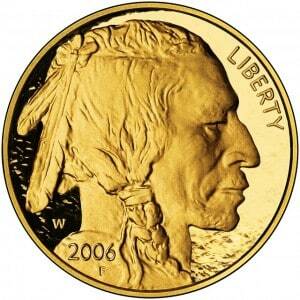 If you’re looking for a simple method of cash for gold, look no further than us here at Tempe Pawn. You come in, show us your gold, we give it a once over and you get the cash after we offer an amount to you. The type of gold you bring is up to you. You can give us bars, coins, gold plates, etc. If it’s gold, and if we like it (which most cases we do), we will give you cash for it. That’s why we strive to be the place that, when people want cash for gold Tempe Pawn and Gold would be their first thought to mind. Having been around the block in service to the Tempe community for over a decade is a testament to our staying power, and the fact that we have assisted customers that come from other great cities such as Mesa, Chandler, Scottsdale and more. So come get the most cash for gold in your pocket today by visiting us here at Tempe Pawn and Gold! We’d love to see you soon.